Saurav weekend mein aa rahan hai, kahan chalna hai, bahut garmi hai, not an overnight trip, well these are a snippets of conversation we had when our batch-mate decided to visit us in Bangalore . With a blank mind, and keywords : long drive Bangalore day trip, Google gave us the desired destination. Lepkashi – Perfectly fitted all the requirements including my itch to put my DSLR to some good use. Honestly, I liked the sound of the name. “Take Life As It Comes”. Really ???? 40 Km on road, we were past the Devenahalli Toll booth and on the hunt for a breakfast pit spot. Found this: Perfect place for yummy South Indian delicacies and hot hot coffee. A small trivia – There is always a restaurant soon after a toll booth. Drive for next couple of hours, turned out to be an absolutely exhilarating experience. 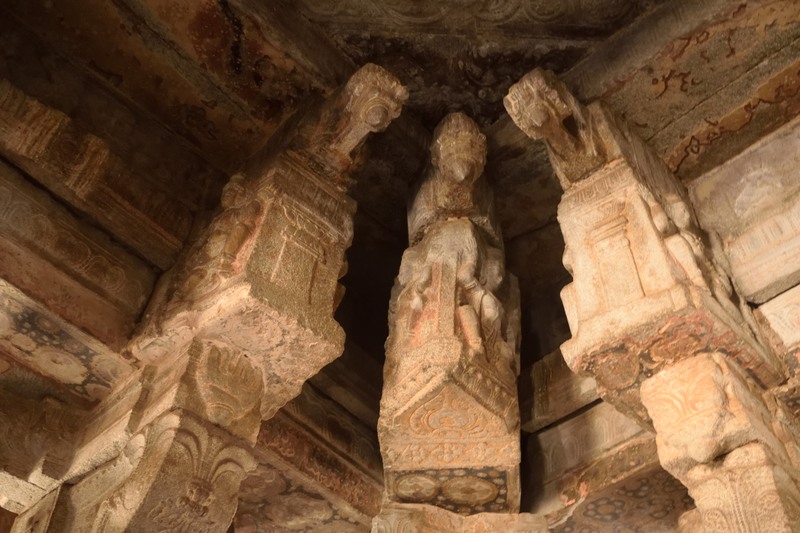 Whilst enjoying the scenic beauty and following the most useful invention of this century – Google Maps, we were at Lepakshi town by 10:30 A.M. Not bad, right..
Hunt was on – now for the BIG NANDI – and we finally spotted that too. 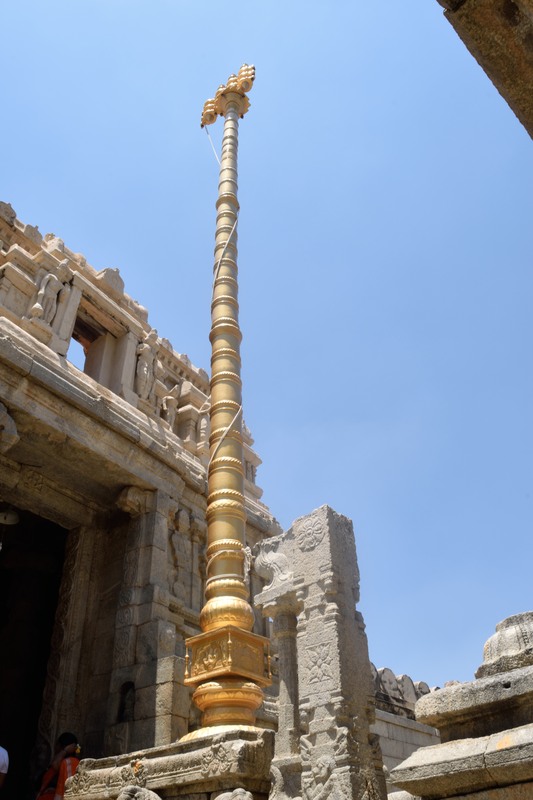 I had always admired the monolithic Nandi statues in Karnataka and this one was no different. You can spend 5 – 10 minutes here clicking pictures and admiring the lotus pond in the campus. 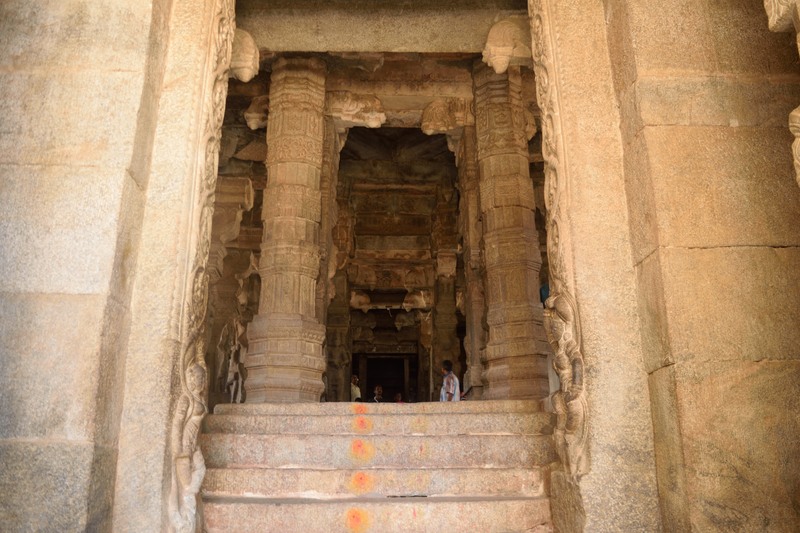 The place is well maintained by ASI (Archaeological Survey of India). A drive of about 2 min. and you are in the temple arena. We chose a shady spot to park our car to ensure it doesn’t turn into an oven once we are back. There are no entry fees or charges on photographic equipment. In case you are visiting on a day when temp. is above 30 C , I would recommend a pair of socks as the stone flooring could be quite intimidating. There are drinking water and wash room facilities in the temple courtyard. Surprisingly, no guide approached us and barring this board below, there is not much info around. So if you are an architecture buff , please do your homework before you visit this site, because am sure you too would be mesmerized by its grandeur and beauty and not knowing what, when and whys, could be quite frustrating. Had a stopover for lunch at Indian Paratha Company, a much talked about food joint among Bangaloreans. Failed to satisfy our palette though. Reached home at 4 P.M happy and contended on a day well spent. Beautifully written piece! 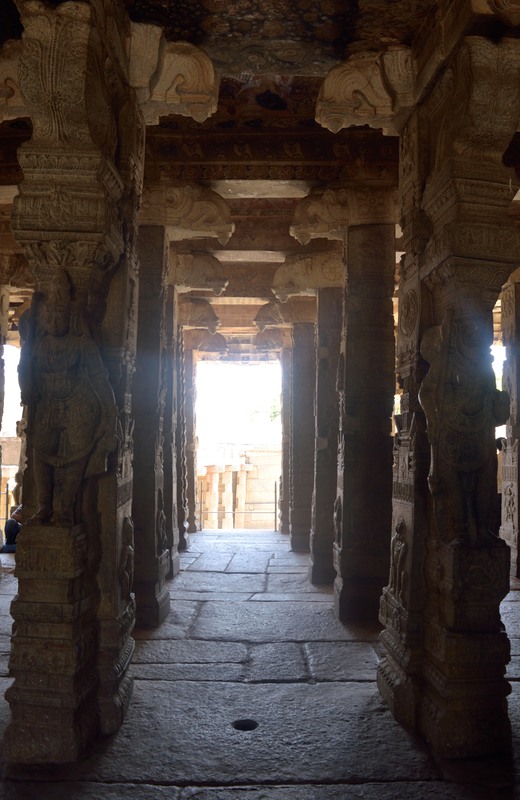 Makes me want to go to Lepakshi!